Prior to becoming a licensed Realtor® Donna owned and operated a successful computer company for 30 years. Over the years Donna has strived to build a business reputation of honesty, integrity and hard work which transcends into her real estate profession. Her knowledge of the Shoreline as a business owner, and her community involment, as well as her sales, marketing and financial expertise provide a unique and effective set of skills to her clients and customers. As an Realtor®, Donna is committed to delivering her clients a positive and excellent customer service experience from the beginning of the transaction through closing. Donna brings her knowledge acquired as a savvy business owner and applies this in a manner that helps in the decision making process. She is effectively applying the latest technology to the local Real Estate market while providing a personal touch that is so important in all Real Estate transactions. Born and raised in Rhode Island, she moved to the Connecticut Shoreline over 35 years ago and has raised her 3 daughters here. Donna works with both Sellers and Buyers servicing East Haven, Branford, North Branford, Guilford, Madison, Clinton, Killingworth, Westbrook and Old Saybrook and specializes in residential sales, land, condos, water-oriented properties and rentals. She is knowledgeable about both the Connecticut and Rhode Island Shoreline areas. 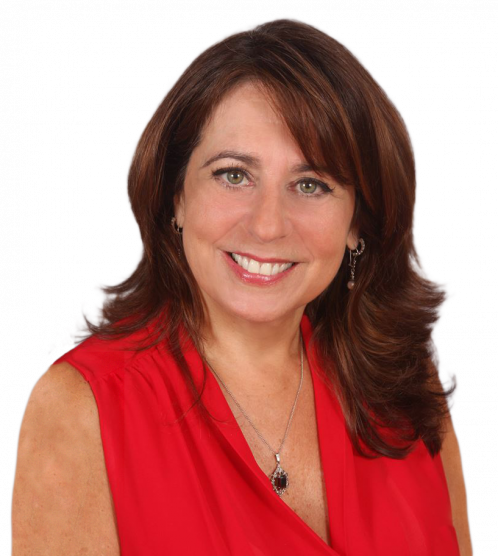 Donna is a member of the Middlesex Shoreline Board of Realtors, the Connecticut Association of Realtors and the National Association of Realtors. Professional full time Realtor, Licensed in the State of Connecticut. My boyfriend and I were in search of our first home. Donna was pleasant and helpful from start to finish! She was extremely patient in explaining all the processes to us and always ready to go the extra mile for our needs and wants in the house hunt. We are now in the home we fell in love with and Donna isn't just a realtor to us anymore, she's a friend! We are looking forward to keeping in touch with her and recommending her to all of our friends and family! Thanks Donna !!! You're a rockstar!!! I met Donna via Zillow on line. I believe my first words to her I was just looking. Donna understood exactly what I was looking for and she provided some homes for me to look at. I whittled them down due to location, issues about the house I liked or disliked. This includes water well v public, septic v sewer, location, size of home and condition, I was willing to do some updating but was really trying not have much renovation but easily repairable properties. We looked at a few properties over a couple of weeks. When I walked into the home I finally bought I knew it then, if I could get the right price and cooperation from the current owner to pick up some of the repairs, after our inspector had reviewed the property would be very pleased. Donna recommended the inspector who was fantastic, knowledgeable and comes highly recommended by me as well as we did the inspection together instead of him just doing it himself. The inspector gave me a pad to write down the issues and it helped me understand all the issues that this gentleman was looking at including name, age and condition of the issues at hand. I knew how old the hot water heater, furnace, appliances, air conditioner unit etc. were. I feel if Donna Vaccaro had not been my Real Estate Agent I would still be looking for a home that I did not truly want for myself.. Donna has a true professional but has an outgoing personality which made me feel right from the start that she was the person I wanted to find me a home. She always returned my phone calls, text requests and emails very promptly. Daytime, after hours she was always responsive and a true hard worker. She kept me of her schedule but always was there when needed. She is an honest, friendly, knowledgeable agent and certainly a person I hold in high regard. I can find absolutely no faults with her process and applaud her work ethic. It took us less than a month to find the quality home of my dreams and at the price I wanted to spend for my future. Donna hit me a home run on this with her negotiating skills and the knowledge she had obtained in her chosen field, home area and life. I honestly do not believe it would have been this pleasurable to buy a home if it were not for Donna. Donna is a pleasure to work with and certainly is someone I have and will continue to recommend if you are buying or selling. I wish her the best and could not be more pleased a month into my new peaceful retreat. Donna was simply amazing and was very helpful when we relocated to CT. It was our first time renting a home in 30 years and we had a wonderful experience. She was patient and truly cares about her costumers. Her local knowledge was invaluable to our selection process. Donna didn't stop working with us until we were 100% satisfied. Her hours were flexible I would recommend a call to Donna anytime your situation requires a quality Real estate agent. Donna is awesome at her job, she is dependable,reliable and personable, she makes you feel comfortable and at ease from beginning to end. She will answer your calls or emails whether its 8 pm on a Friday or 3 pm on a Sunday, shes always there for questions.She is knowledgeable and does her research to assist in your home buying process.She really loves what she does and will be there for you every step of the way. I would recommend her to anyone looking to purchase or sell a property. The BEST realtor in New England. Donna CONSTANTLY went out of her way to help me in any way shape or form. She is very knowledgeable and has an answer and a logical explanation to every single detail. She is extremely tech savvy which helps a lot with all that paperwork. I recommend her to anyone no matter what the need is. Donna is truly the best real estate agent I have ever had the pleasure to work with. She has integrity, heart, and an innate capacity for patience - she is kind, highly responsive and is always there to answer any questions while having my best interest in mind. She has a wonderful personality and a very pleasant demeanor - I could not ask for anything more in an agent. Donna helped me with the purchase of a home I was under contract for the second time. I don't think the deal would have happened without her. Donna is very knowledgeable, hard working and honest. Donna helped guide me through purchase of a bank owned home. Very responsive and answered all questions promptly. 05/22/2016 - mbkarad Bought a Single Family home in 2015 for approximately $450K in Madison, CT. Local knowledge: 5 of 5 Process expertise: 5 of 5 Responsiveness: 5 of 5 Negotiation skills: 5 of 5 It was a pleasure working with Donna Vaccaro. She was available to answer any and all questions promptly. She is a professional and helped us find the perfect house. I would highly recommend her for any real estate needs. 12/06/2014 - gypsywoman34 Local knowledge: 5 of 5 Process expertise: 5 of 5 Responsiveness: 5 of 5 Negotiation skills: 5 of 5 Donna is truly the best real estate agent I have ever had the pleasure to work with. She has integrity, heart, and an innate capacity for patience - she is kind, highly responsive and is always there to answer any questions while having my best interest in mind. She has a wonderful personality and a very pleasant demeanor - I could not ask for anything more in an agent. 12/03/2014 - Bought a home in 2014 in Annex, East Haven, CT 06512. Local knowledge: 5 of 5 Process expertise: 5 of 5 Responsiveness: 5 of 5 Negotiation skills: 5 of 5 My boyfriend and I were in search of our first home. Donna was pleasant and helpful from start to finish! She was extremely patient in explaining all the processes to us and always ready to go the extra mile for our needs and wants in the house hunt. We are now in the home we fell in love with and Donna isn't just a realtor to us anymore, she's a friend! We are looking forward to keeping in touch with her and recommending her to all of our friends and family! Thanks Donna !!! You're a rockstar!!! 08/30/2014 - pez69 Bought a Single Family home in 2014 for approximately $250K in Guilford, CT. Local knowledge: 5 of 5 Process expertise: 5 of 5 Responsiveness: 5 of 5 Negotiation skills: 5 of 5 I met Donna via Zillow on line. I believe my first words to her I was just looking. Donna understood exactly what I was looking for and she provided some homes for me to look at. I whittled them down due to location, issues about the house I liked or disliked. This includes water well v public, septic v sewer, location, size of home and condition, I was willing to do some updating but was really trying not have much renovation but easily repairable properties. We looked at a few properties over a couple of weeks. When I walked into the home I finally bought I knew it then, if I could get the right price and cooperation from the current owner to pick up some of the repairs, after our inspector had reviewed the property would be very pleased. Donna recommended the inspector who was fantastic, knowledgeable and comes highly recommended by me as well as we did the inspection together instead of him just doing it himself. The inspector gave me a pad to write down the issues and it helped me understand all the issues that this gentleman was looking at including name, age and condition of the issues at hand. I knew how old the hot water heater, furnace, appliances, air conditioner unit etc. were. I feel if Donna Vaccaro had not been my Real Estate Agent I would still be looking for a home that I did not truly want for myself.. Donna has a true professional but has an outgoing personality which made me feel right from the start that she was the person I wanted to find me a home. She always returned my phone calls, text requests and emails very promptly. Daytime, after hours she was always responsive and a true hard worker. She kept me of her schedule but always was there when needed. She is an honest, friendly, knowledgeable agent and certainly a person I hold in high regard. I can find absolutely no faults with her process and applaud her work ethic. It took us less than a month to find the quality home of my dreams and at the price I wanted to spend for my future. Donna hit me a home run on this with her negotiating skills and the knowledge she had obtained in her chosen field, home area and life. I honestly do not believe it would have been this pleasurable to buy a home if it were not for Donna. Donna is a pleasure to work with and certainly is someone I have and will continue to recommend if you are buying or selling. I wish her the best and could not be more pleased a month into my new peaceful retreat. 07/23/2014 - ttbrown4 Helped me rent a Single Family home in Cheshire, CT. Local knowledge: 5 of 5 Process expertise: 5 of 5 Responsiveness: 5 of 5 Negotiation skills: 5 of 5 Donna was simply amazing and was very helpful when we relocated to CT. It was our first time renting a home in 30 years and we had a wonderful experience. She was patient and truly cares about her costumers. Her local knowledge was invaluable to our selection process. Donna didn't stop working with us until we were 100% satisfied. Her hours were flexible I would recommend a call to Donna anytime your situation requires a quality Real estate agent. 05/13/2014 - big breeze85 Bought a Single Family home in 2014 for approximately $225K in Branford, CT. Local knowledge: 5 of 5 Process expertise: 5 of 5 Responsiveness: 5 of 5 Negotiation skills: 5 of 5 Donna is awesome at her job, she is dependable,reliable and personable, she makes you feel comfortable and at ease from beginning to end. She will answer your calls or emails whether its 8 pm on a Friday or 3 pm on a Sunday, shes always there for questions.She is knowledgeable and does her research to assist in your home buying process.She really loves what she does and will be there for you every step of the way. I would recommend her to anyone looking to purchase or sell a property. 05/12/2014 - user90667077 Bought a home in 2013. Local knowledge: 5 of 5 Process expertise: 5 of 5 Responsiveness: 5 of 5 Negotiation skills: 5 of 5 The BEST realtor in New England. Donna CONSTANTLY went out of her way to help me in any way shape or form. She is very knowledgeable and has an answer and a logical explanation to every single detail. She is extremely tech savvy which helps a lot with all that paperwork. I recommend her to anyone no matter what the need is. 11/15/2015 Found a tenant for a Single Family home in Branford, CT. Local knowledge: 5 of 5 Process expertise: 5 of 5 Responsiveness: 5 of 5 Negotiation skills: 5 of 5 I asked Donna to help me rent my home within 1 1/2 weeks. She went into high gear; visited home and made recommendations, came back for pictures and posted a quality ad in less than 24 hrs. Showed apartment over the weekend, did all background checks and I had a signed lease by Monday nite. She is very professional and I highly recommend her and plan to use her services in future.